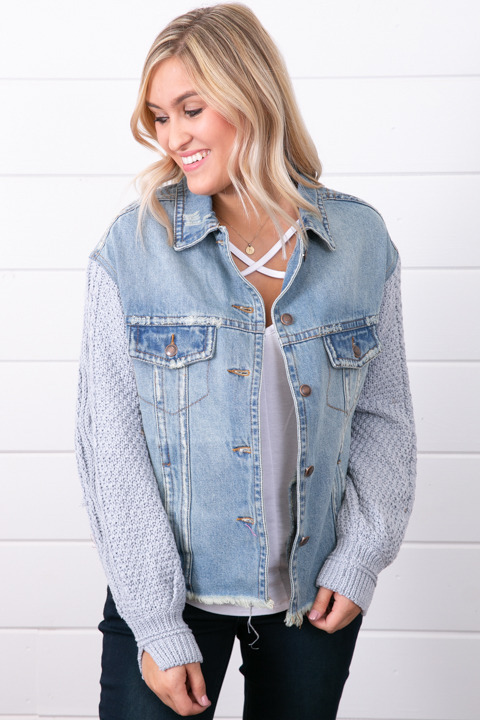 The Xander Jacket is the most unique denim jacket there is. 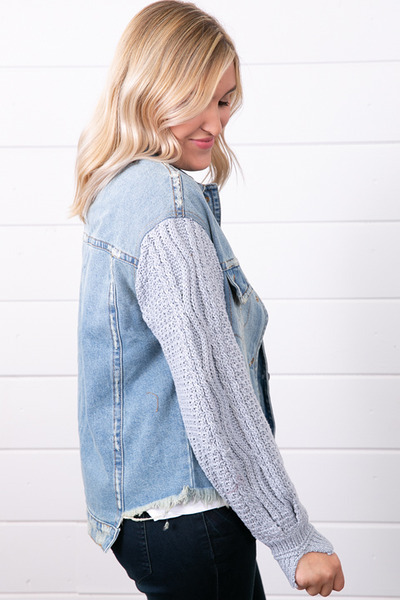 Featuring adorable knit sleeves, a tail like back, frayed front hemline, relaxed fit and a fold over flap with brass buttons. 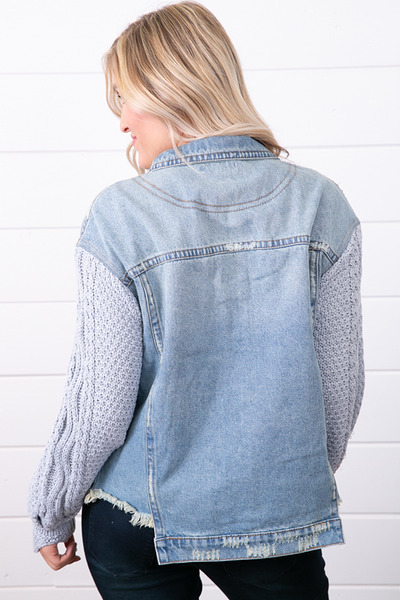 This pull on, light wash jacket pairs well with black denim, or a skirt with booties. Made by Heartloom. 100% cotton. Machine wash cold and lay flat to dry. 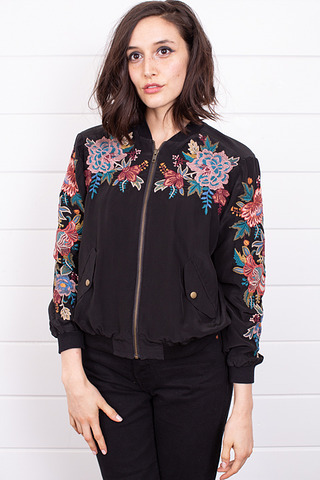 I absolutely love this jacket. Its exactly what I was looking for. I get so many compliments.